Rubrics and other measures for assessing digital collaboration among ELL's. 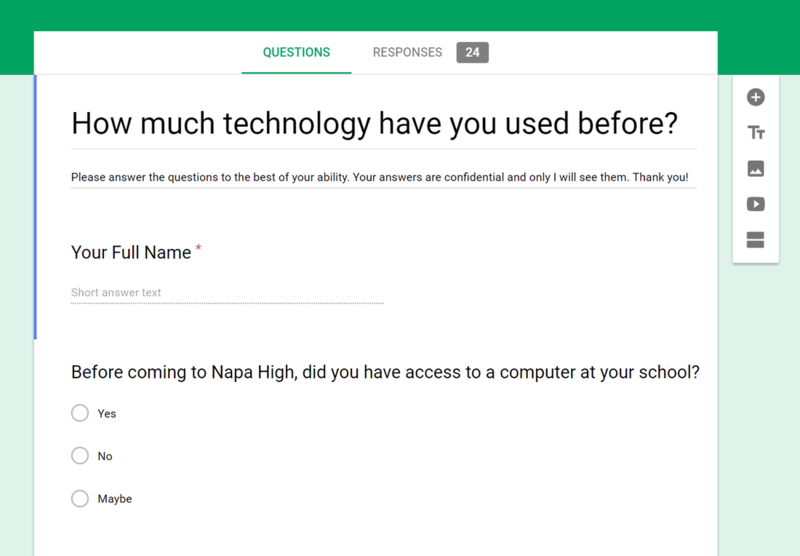 The surveys below provided me with information on how much technology all of my students have been exposed to and used before entering my math 1 class. 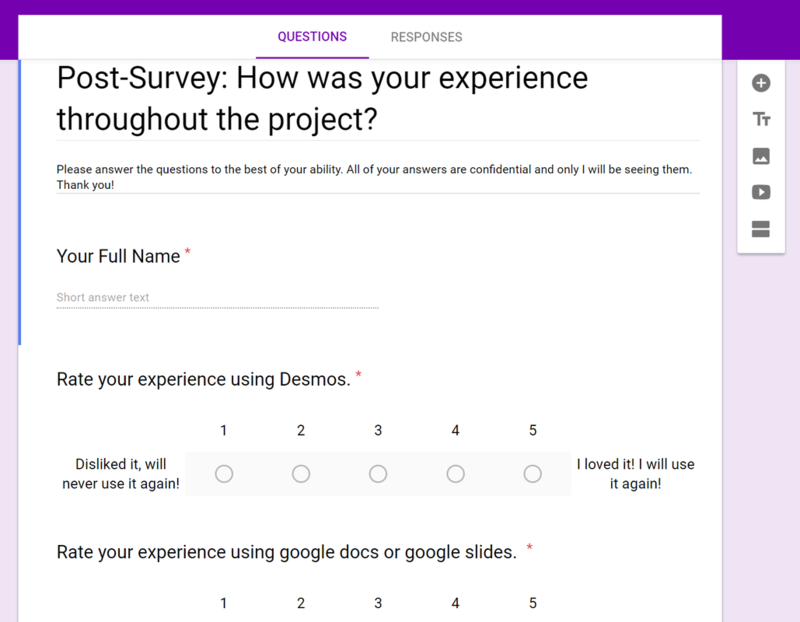 The post-survey gave me qualitative data on how students experiences were throughout the project while working with others and the digital tools I asked them to use. Pre-survey: Click on the picture below to make a copy of the google form that I created. Post-survey: Click on the picture below to make a copy of the google form below. These rubrics assisted my students and myself when assessing the 4 C's throughout the Exponential Functions Project. Peer Evaluation Rubric: click on the picture below to download the rubric I used in my math 1 class. If you would like a Spanish version, please click here.